Don’t let added sugar spook you this Halloween. Between school parties and evening trick-or-treating your child will inevitably indulge. There’s no need to fear, though. There are ways to keep your children’s appetites, and health, on track this Halloween. Concentrate on healthy Halloween meals. 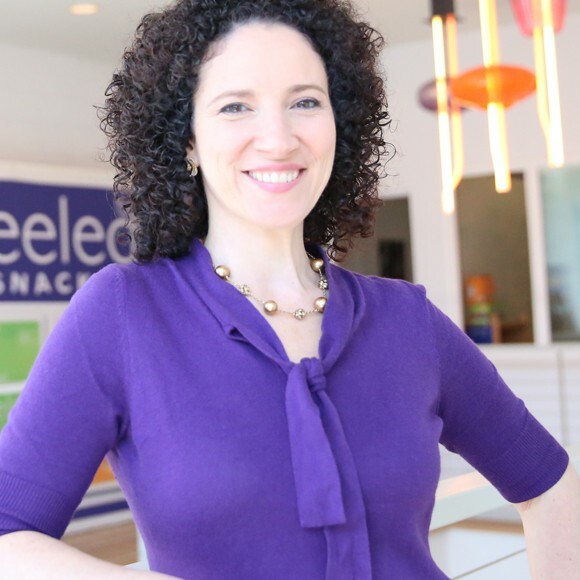 Making sure your kids eat healthy and filling meals throughout the big day will minimize their desire to gorge on candy. Nutritious and filling meals are a good idea for parents, too, so you’re not tempted to snack on your child’s loot. Lean meats, veggies, and whole fruits are all wonderful options. For snack times, remember to read the labels of packaged snacks to ensure they’re truly healthy and nutrient-rich, not just seemingly so. Many so-called veggie and fruit snacks are loaded with non-additive, unnatural fillers while other seemingly healthy snacks, such as some yogurts and juices, can be just as sugar-filled as candy. Candy isn’t the only treat available. Experts call fruit “nature’s candy” with good reason. Though they contain sugar and satiate sweet cravings, fruits are loaded with fiber, vitamins and minerals. They take longer to digest than candy, meaning their natural sugars are absorbed slowly and don’t cause the dreaded highs and crashes that affect kids so negatively. Dried fruits such as mango, pineapple or even dates allow for sweet treats in portable packaging without sacrificing health. You can also always stand apart from the candy crowd by offering your kids non-edible treats like glow sticks, stickers and small toys for longer-lasting, and healthier, fun. Teach healthy attitudes toward sweets. If your family generally eats sensibly, your overall pattern of health will have a more lasting impact than one day of indulgence. Don’t overly stress over Halloween treats, as your children may pick up on it and behave accordingly. Instead, use Halloween as an opportunity to talk to your kids about maintaining a nutritious diet and raise issues of self-control and choices. Involve them in decisions to limit treats or indulge, and come up with a plan that you’re both happy with. Manage the stash. Once your Halloween celebration is complete, managing sweets in the days following can be equally challenging. One strategy is to practice the “out of sight, out of mind” technique. Place candy in a hard-to-reach, spot so your family isn’t constantly tempted. In my home, we like to allow our kids to “trade in” their candy for a toy or money. My son usually eats candy on Halloween and then trades in the rest for a toy the next day. This technique helps kids feel more in control and doesn’t feel like they’re giving something up. 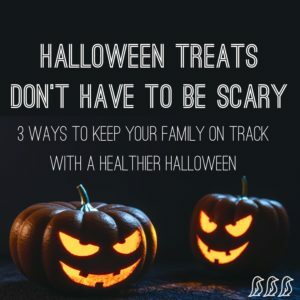 However you choose to practice a healthier Halloween, intentionality involving your children in their own eating decisions will turn a potentially frightful situation into a treat for the whole family.